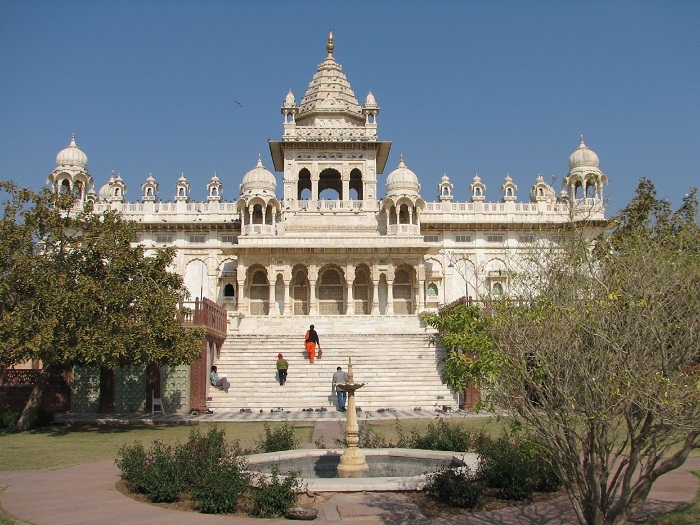 Jodhpur – the blue city is a wonderful city and one that has lots of places to visit. Spend at least two days in the city to enjoy its attractions and enjoy the hospitality of Rajasthan. Jodhpur has magnificent forts and palaces to visit. Read here about the Amazing places to visit in Jodhpur. 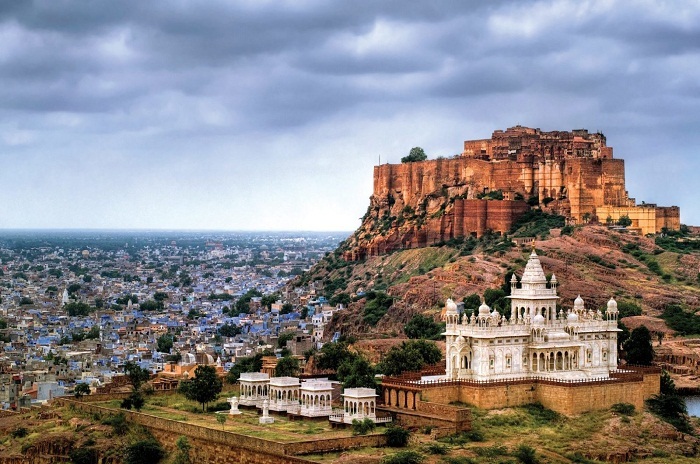 The Mehrangarh Fort is the ex-libris of the city of Jodhpur. The ideal is to devote one day or at least half a day. 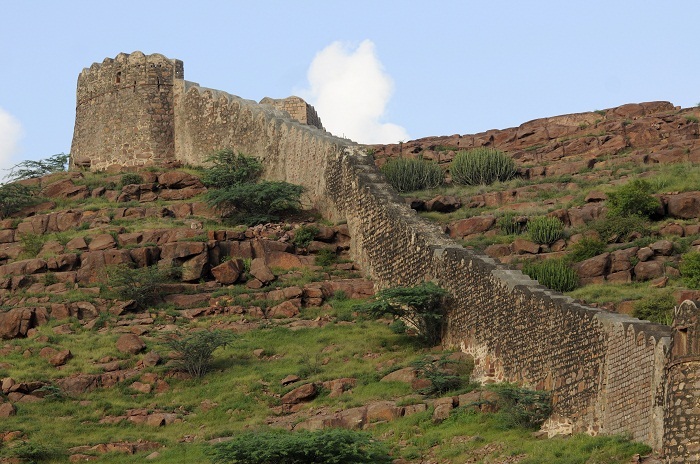 The visit to the fort has many places to explore as well as beautiful views of the city. The entrance ticket includes audio guide which is great to better understand here who will see and realize the story behind the fort. There are a lot of stories like the women who were fired when the fort was conquered by invaders. The advantage of visiting the fort is that you only have to pay to see the museum but it is worth it. Since the museum occupies much of the inner part of the fort. The Umaid Bhavan palace took 15 years to build and there worked about 3000 men and probably women. In total, the palace has 347 rooms with 8 dining rooms, two theaters and a ballroom as well as a gigantic 60 meter dome. 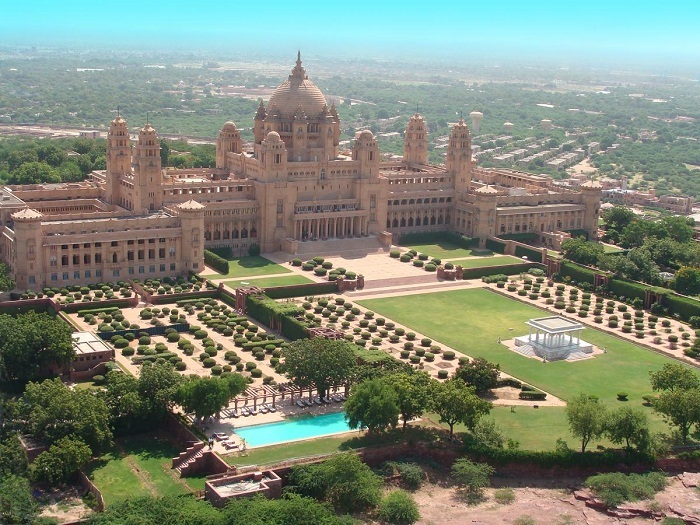 The magnificent Umaid Bhavan palace is now a hotel and where you can spend the night. A luxury hotel with all the best Rajasthan has to offer and you cannot visit during the tour. Apart from the area of ​​the hotel which is closed to visitors, part of the noble family of Rajasthan who built the palace still lives there, so only a small part is open to the general public. In the part of the palace that is open to tourists, i.e. the part of the museum and it is possible to know one of the wings has collections of weapons, paintings, arts, porcelain and European and Indian furniture. This is one of the best monuments in Jodhpur. It is a memorial to Maharaja Jaswant Singh II. The memorial, which in reality is a cenotaph, a tomb, is all made of marble, richly carved. There is more of the royal family of Jodhpur in the place but Jaswant’s is the most impressive. The other rulers of Jodhpur are buried in Mandore, 9 km from Jodhpur. The old city of Jodhpur is surrounded by wall with about 10 km and 8 entrance gates. 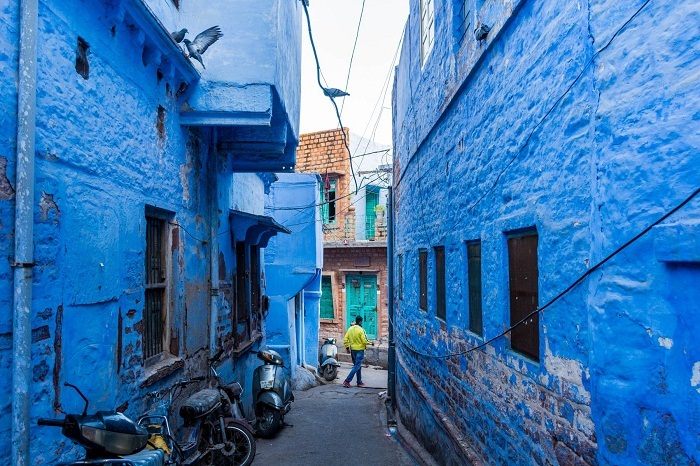 In the heart of the old town, the houses are blue-tinted, a way to force the reflection of solar radiation and thus make the interiors of the dwellings cooler. With narrow winding streets, it is a part of the city to explore on foot with time to make friends and talk. Once a transit point for camel caravans crossing the Silk Road or the Spice Route, Jodhpur’s old town has retained its charm and identity. In the heart of the old city, there is a bazaar of life and color. 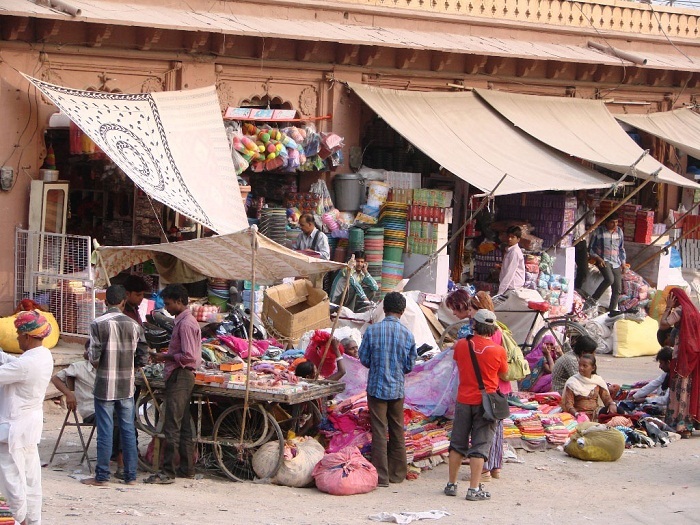 Bracelets, silver jewelery, precious stones, wooden lacquers and typical dresses from Rajasthan, saris with colored fabrics, camel skin items, puppets, and spices are just some of the items that can be found in the bazaar. Do not miss however, the portion of the fresh produce with magnificent fruits and vegetables. 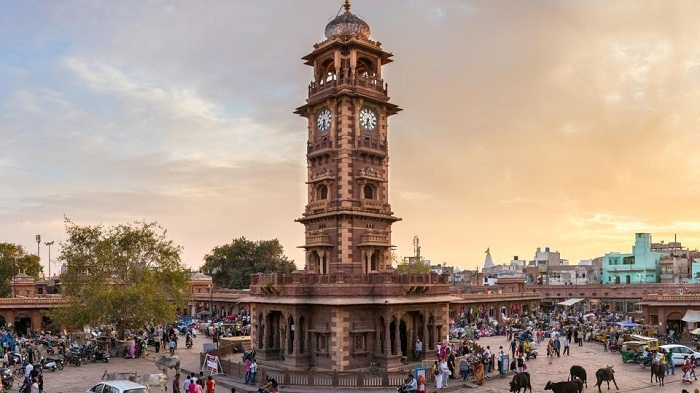 The clock tower is the central point of the Old City of Jodhpur. From there follow several arteries, some leading to the bazaar of Sardar, others simply to streets and alleys full of population and life. It is worth to know the tower, but the idea is to use it as a crossing point to explore the old part of the city. Built to be an eco-tourism area in Rajasthan, the Rao Jodha Rocky Desert Park is a beautiful place to get away from the busy life and noise of downtown Jodhpur. It is a good place to relax and contemplate the view over the Mehrangarh Fort. Reaching Jodhpur is easy as this city is well connected by Air, by Train and by Road and well accessed by other major cities of the country. If you want to travel through Luxury Train then book Palace on Wheels but must check Palace on Wheels Fare before planning your train.